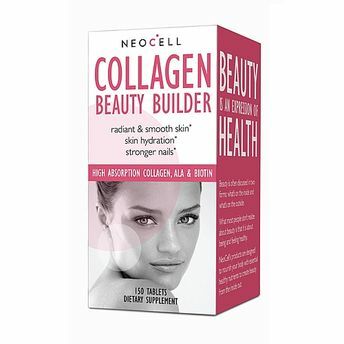 GNC Collagen Beauty Builder Caplets is an all-natural nutraceutical solution for youthful, radiant skin and overall beauty. Loss of elasticity in the skin, thinning hair, and brittle nails are common signs of aging that are the result of diminished collagen levels in the body. These caplets contain 19 amino acids that help sustain collagen levels in aging skin as well as assist in rebuilding the skin matrix. Hyaluronic Acid is a water-loving nutrient that hydrates the tissues and promotes elasticity. Alpha Lipoic Acid and Biotin are powerful nutrients that protect and enhance collagen formation. Silica in it is a crucial building block for strength and elasticity in the skin.